Prevent the signs of skin aging by reducing skin dryness. Helps in reducing spots, deeper wrinkles, sun damage, and fine lines Prevents blemishes and acnes since it is known to have anti-bacterial properties if you really care your skin, you can go for a better natural option. 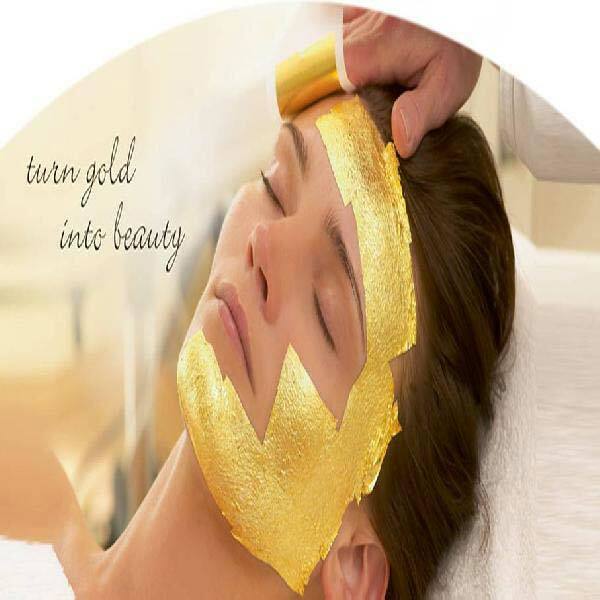 Gold Flakes/Foils are ingredient of all cosmetic creams that contain 24 Carat Gold and we proudly mention that we are serving our product to most of all giant cosmetic industries in India and abroad. (Use a gold leaf mask or Gold Cream made by adding Gold Flakes in Honey, Aloe vera, Sandalwood Powder and Saffron mixture, gives a natural treatment to your Skin).